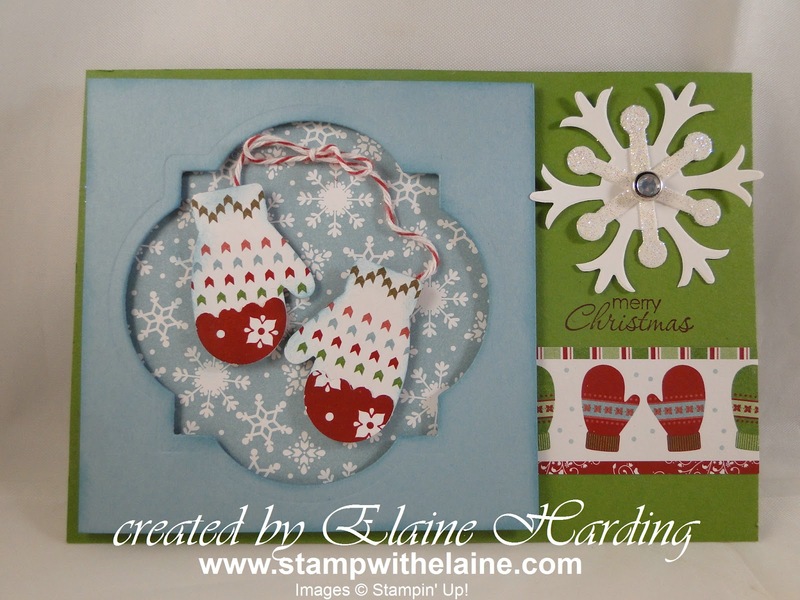 I paired this with Baja Breeze to co-ordinate with the colours in the Snow Festival 12"x 12" packs of DSP. Great way of using up scraps of patterned paper. The sentiment is from Petite Pairs from the main catty. The snow flurry components adds a bit of "bling" to the whole card - Hope you like it and I hope I've converted some of you into needing this set now!